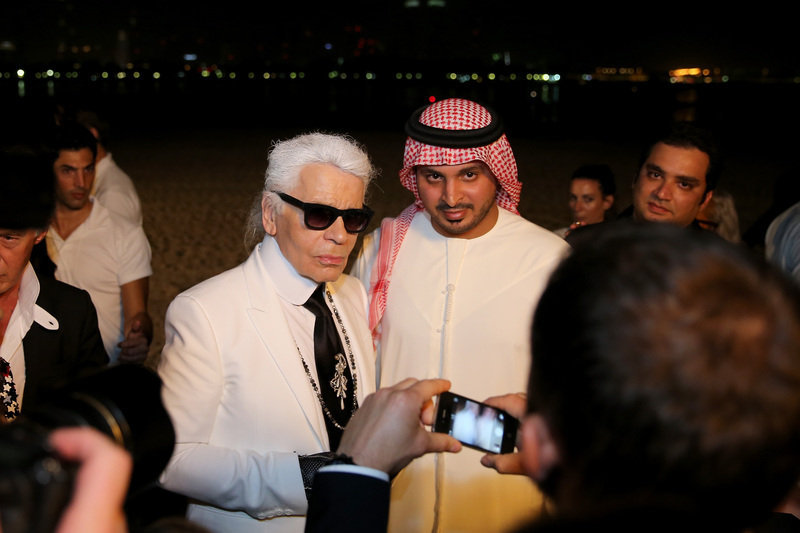 Karl Lagerfeld busted the white coat out of the closet for Chanel’s Resort 2015 spectacle in Dubai, which brought editors, buyers, and A-listers to the United Arab Emirates yesterday. The Kaiser took photos with front rowers Janelle Monae, Dakota Fanning, Tilda Swinton, and, yes, even a Sheikh or two. Now thaaaaat’s Chic. No word on what Choupette was up to during all of this.